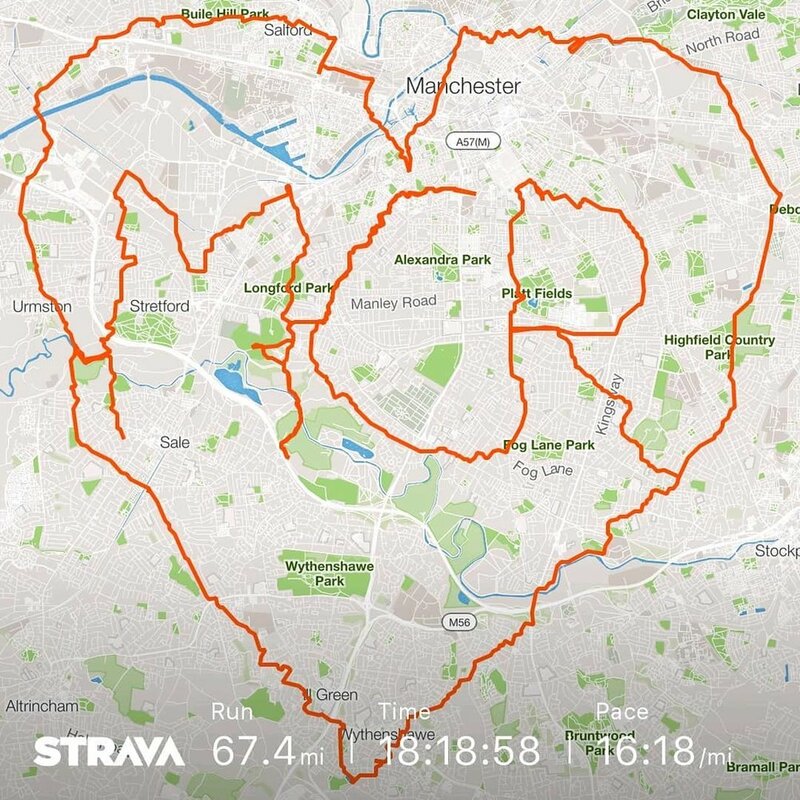 How (Not) To Run An Ultra! I'm planning on making videos of all my ultras this year. Not all stupid videos like this one, but hopefully all creative, interesting and fun. Subscribe to my channel to catch them all. The hardest thing I've ever done. I had three goals, first to get the Gold Medal (60 miles from start point), second was to reach 130km/80miles in the 24 hours, and third was to reach the BG. I nailed the first two which means I should be able to do 13 laps at Thunderrun next year before starting a sneaky 14th in just before midday. For various reasons my route planning and route following didn't go to plan, instead of the BG being a 141 ish run it would have been a 155 ish run, too far even if everything else had gone to plan. Oh well, maybe next time. Didn't see Ian after the first couple of km, it looks like he took his own unique route. The weather was fine though it was always a bit cold. The battery on my phone died around 7pm as I had taken an untested battery pack with me, whoops, I should have know better. Meeting up with Lorraine at Congleton and running the last 15km with her was amazing! Thank you Lorraine. I may have got gold without you but I won't have managed that extra 5km up to midnight. The Aftermath, only two small blisters and numb toes but my left ankle is swollen up quite badly, will need to rest it for a while. The messages you all sent me and the comments you were leaving on facebook really helped! I've just read through them all again now. Thank you. I need to say big thanks to Dave, David, Lauren, Sarah, Lorraine, and Tim for the kit you lent me, a big thanks to Jane for the training plan and the others on the Ultra Group. Thanks to Lauren for picking me up at midnight and to Sarah for all your support. This weekend I'll be running about 88 miles from Meriden near Coventry to the Bowling Green pub in Chorlton, Manchester. I'll be running from Friday night midnight to Saturday midnight. Every 10km I'll be adding my time, live as I run. Look at the "Actual Time" column and compare it to the other columns to see how I'm doing and what my predicted finish time will be.